Dr. Melinda Francisco Best is a graduate of the University of the Philippines College of Medicine, and she completed her internship at the same institution. After graduating, she served several community-based clinics as a general practitioner. She also served as an Assistant Medical Director in a multi-specialty clinic in Alabang Muntinlupa City. It was at that time she realised that her passion is treating children and for this reason she took a three year residency training in pediatrics at the University of the Philippines-Philippine General Hospital. During her three years of training, she realized that there is a big gap in terms of health care services to Filipino children. Most of her encounters with patients in the emergency room were illnesses which could have easily been handled in a primary care setting. However, due to the lack of specialists within the community, most of the patients were forced to seek consultation at a tertiary hospital. Dr. Francisco-Best recognized the need for accessible health care to children in a community setting to fill this gap and hoped that she could provide one after her training. 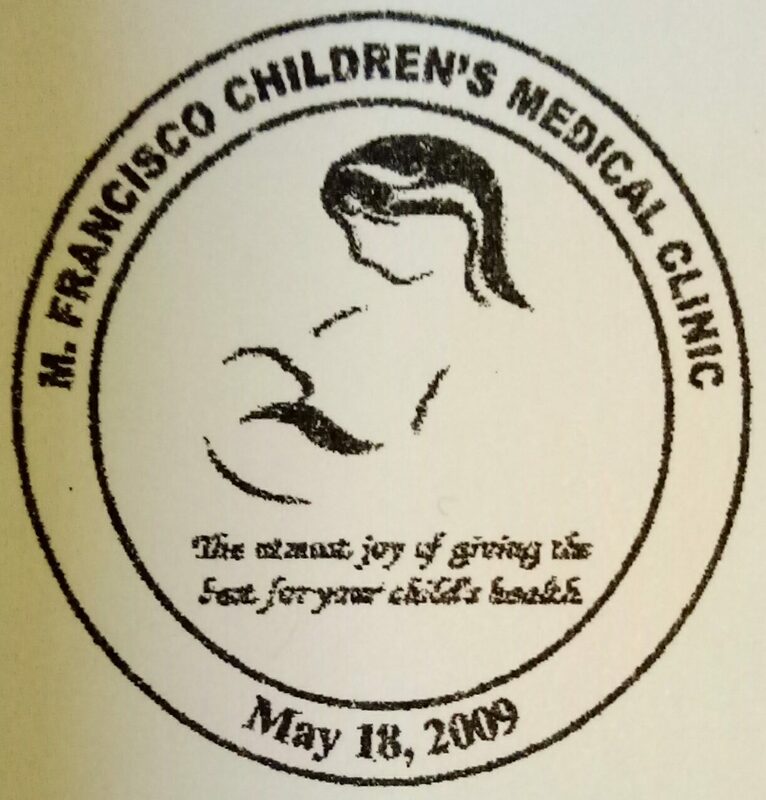 Thus, on May 18, 2009 the M. Francisco Children’s Medical Clinic opened. It is the product of Dr. Francisco-Best’s dream of giving service to the community by providing accessible health care to children within the community. It initially served children living near the clinic, but through word of mouth more and more children from different localities visited the clinic. In 2011, in celebration of the clinic’s 2nd anniversary, MFCMC held a medical mission. Through the help of family and friends around 50 children and their families were given free medical consultation and free medicine. In the year 2013, Dr. Francisco-Best identified the need to provide health care to children with special needs. That year, she started providing developmental evaluations at an affordable rate in partnership with a public SPED school in Pasig City. Today, the clinic continues to serve hundreds of children needing medical care and hopes to continue providing quality and affordable health care in the coming years.